Finally, I’m feeling a bit of sewspiration again. It only took a bit of buying new patterns and splurging on lovely fabrics, ha ha. The end of summer is not a good time of year for me, to be honest – watching the darkness draw in ever-earlier and seeing the temperature plummet does not fill me with the joys of autumn. Buuut, I suppose it’s a good excuse to recalibrate the wardrobe and do some nice project planning. It was a trip to Fabrications to check out their brand new range of organic and ethical fabrics, care of Offset Warehouse, that really sparked some ideas. Fabrications is a sweet little craft store fairly local to me in Hackney which has always focused on textiles and fibre arts, but never stocked fabric before. They’ve now teamed up with online eco textile company Offset Warehouse to offer a hefty range of their gorgeous cloths in store for the first time. I popped along to the collection’s launch party last week and couldn’t resist a bit of investment. 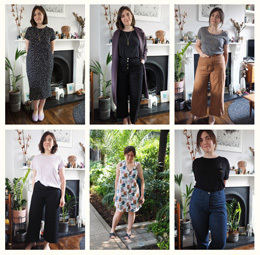 The good thing is that selecting these beautiful fabrics gave me quite a clear purpose of what garments they should become, and I realised they could form the basis of a really nice capsule wardrobe for the coming months and beyond. I’m increasingly interested in trying to make sure my output is more cross-seasonal, because I find it sad to have to tuck away hand-mades for half the year when they no longer fit the weather. 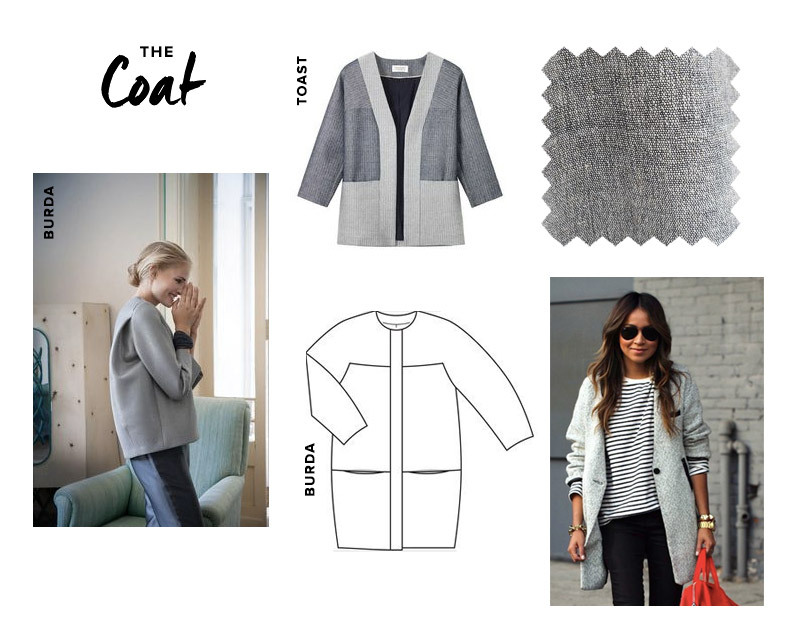 My theory is that by going for natural fibres and a neutral colour palette it’ll be easy to make garments that can mix and layer up for the cold and be worn on their own in the summer. So here’s a look at what I bought and some ideas for what form my capsule wardrobe might take. I wear my loose woven tops loads so I know this shape will be a wardrobe winner, and this cream striped ikat I bought could be paired with black, blue or grey on the lower half. 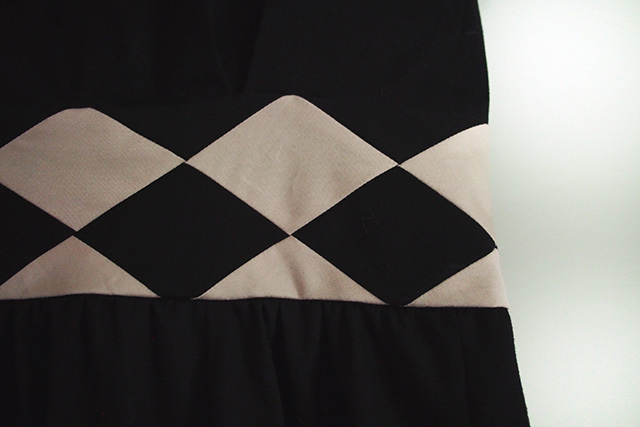 I may try the Style Arc Ethel I just bought so I can play with the stripe direction across the panels. I do love my dresses – I’ve made quite a few super basic knee and midi length semi-fitted smock type ones (generally unblogged as boring!) and they’re in constant rotation. Throw one on and you’re dressed, and they’re great for cycling. I picked out a sage-y green striped cotton to make another; I can’t find it on the site but this is the same in a different colourway. Reading the product description of this fabric makes me feel so darn good about my choice: “The fabric is entirely handmade and hand dyed, using techniques that are thousands of years old…It also has virtually no carbon footprint, as the entire process is done by hand and uses no electricity – including the spinning and dyeing”. Considering that, isn’t it quite the bargain? One thing I am lacking at the moment in an in-between-y sort of coat; one that keeps out autumn chill but isn’t heavy or restrictive (I don’t really feel the cold til it gets really cold). I chose this black and white slubby cross-weave cotton which should stay nice and breathable. Actually I got chatting to pattern cutter and occasional Offset blogger Franki Campbell at the party after I complimented the gorgeous self-drafted coat she was wearing, and realised I totally just wanted to copy it: it was a minimal semifitted hip length style with no side seams and a dreamy centre front bust dart detail. 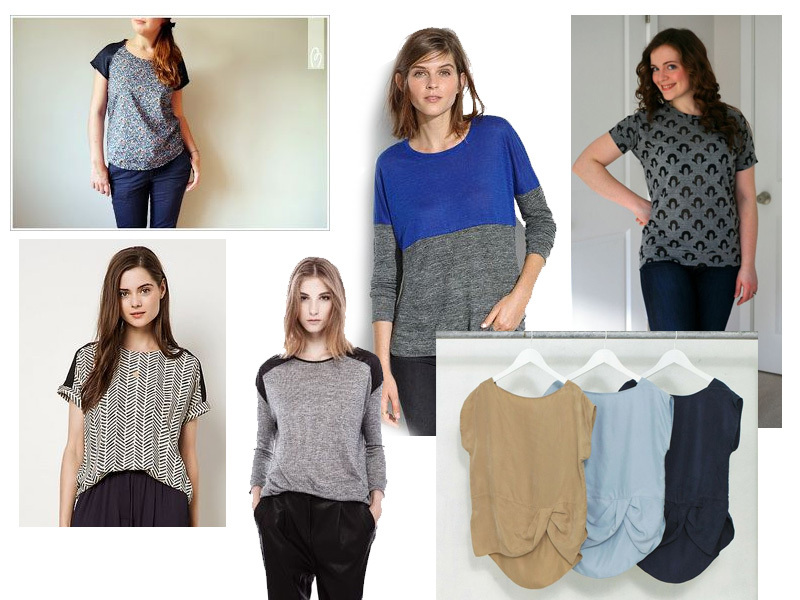 Failing that, I love some of Burda’s cocoon type shapes. One final piece of the wardrobe that I managed to resist buying fabric for on the night is trousers. I’m thinking high-ish waist so they can be worn with tops tucked or loose, pegged legs and lil’ cuffs – perhaps Burda 7017 again or the Papercut Guise, which i’m toiling now. 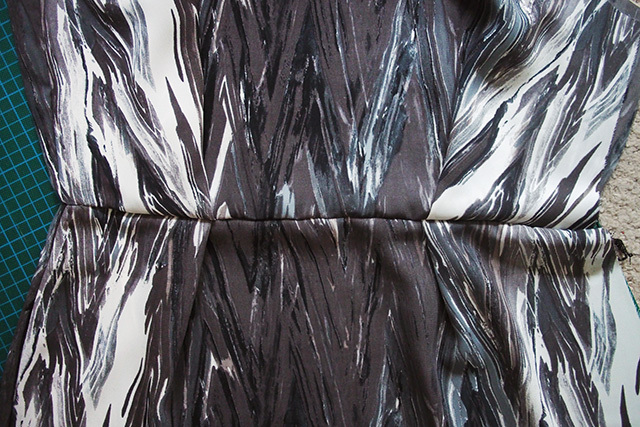 Fabric-wise I was thinking of going for a slightly textured navy blue ikat such as this or this. Well, that will keep me busy for a bit! 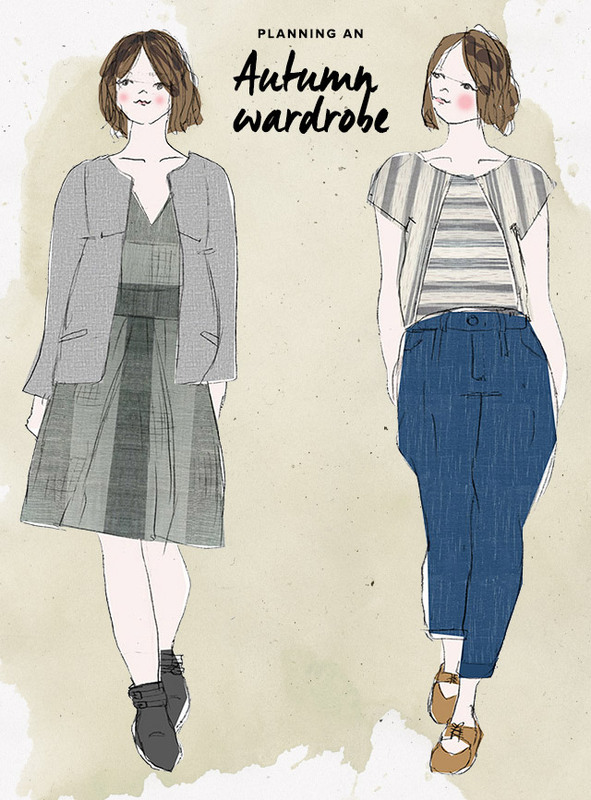 I’ve enjoyed seeing other autumn planning posts up on other people’s blog (and jealously glowering at southern hemisphere folk planning their spring wardrobes) – what are your A/W sew plans? Happy new year and all that, chaps. I don’t really like new year time to be honest, and I won’t be doing any sort of 2014 retrospective. But one thing I do like to do is look forward and plan some exciting sewing projects for 2015. I certainly did learn a lot in 2014 across technique, fitting and my personal style so I feel like this’ll be a great year for my stitching. Seemingly like a lot of others, my key plan is to make less, but make it all with increased thought and care. I was really hoping to crack on and get a Rigel bomber out during Jacket January, but due to the reasons above I don’t think it will get done in time for the sewcial sewalong – I hope it will be done in time for wearing in spring though. I also really want to make Marilla’s Freemantle coat in a black tweed. I actually kind of need another swimsuit for Barbados, so that’s a high-priority sew. I’ve been tinkering even more with my self-drafted pattern and have got everything I need to give it a go. I may well still make it available for download too, don’t hold me to that though. I’ve got a pair of Ginger jeans in plum-coloured denim (with baby pink topstitching) half-constructed already, so they need finishing up and I’m excited to see how the fit compares to previous pairs. I’m going to back to basics, closely following Heather’s fantastic instructions and sewalong to try and pick up some tips and hopefully get my best results yet. Hopefully more will follow! Confession: I have a bit of a weird vendetta against sewing tops. Basically if I have enough yardage of a fabric for a dress, I feel like it’s sort of a waste to make a top instead. Stupid, right? I need to change that way of thought as it’s really too cold for a lot of my dresses at the moment and it’s much easier to layer a top. I wear a few of my favourite me-made woven tops to death so need a few more in a similar vein. After making the short Turia dungarees for my sister, I rather fancy a dress or long-trousered version for myself. Definitely in something very neutral like a plain black denim so I’m actually inclined to wear them. Oh alright, maybe tiny polka dots. I’ve been wanting to try sewing bras for a while as I’m fussy with RTW ones and they look so fun to put together. Plus as Lauren mentioned, lingerie is a great way to get to sew obsessively without adding yet more garments to an already-full wardrobe. I think I’ll pick up a kit and pattern and see how it goes. I’d like to carry on with my self-designing and drafting experiments this year, I find it incredibly satisfying. First up I’m desperate to have a go at knocking off a dress similar to these two beauties, with the darts converted into concentric square pieces. Shouldn’t be too difficult a job and I can probably stash-bust some complementary fabrics. I want to make use of some of the pretty trimmings I’ve collected so have been saving some fun placement ideas. And I’m really interested to experiment more in making unique textiles for garments, whether that’s piecing/patchworking, printing or dyeing. I have two quilts for myself in the pipeline. One, for the bedroom, is half-done and is more abstract with muted shades and lots of linens mixed in – very inspired by the Season Evans one above. 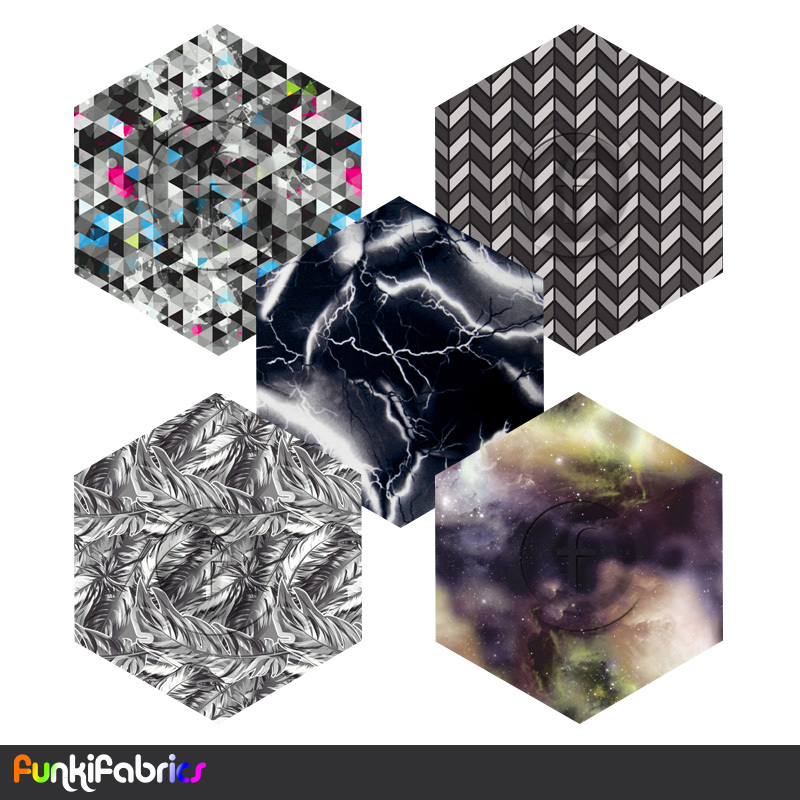 I’m also planning a more geometric ‘tumbling blocks’ one for the living room in solid grey and yellows. Well, I think all of that will keep me busy for a bit :) What do your 2015 sewing plans look like? 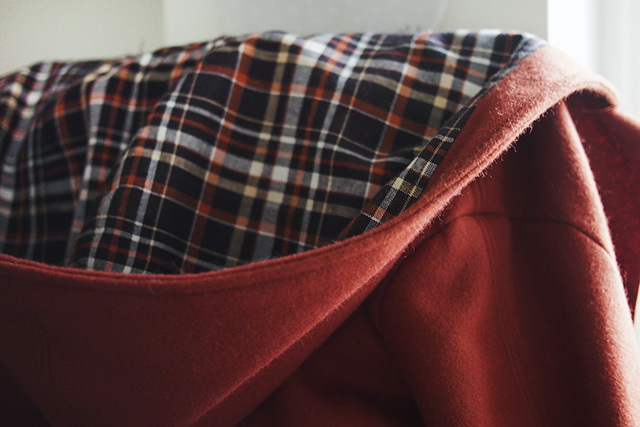 Half a coat, in a delicious tobacco wool and lined with plaid from Mexico. After a horrendous time fitting the sleeves I took a bit of a breather from it, but I’m dying to finish it so I can start wearing it. It ‘just’ needs welt pockets, lining and fastenings now. Waist detail of a rather lovely party frock that is just about done, it’s a BHL Anna hack so I think I’ll appropriately wear it for their Christmas bash in a couple of weeks’ time. 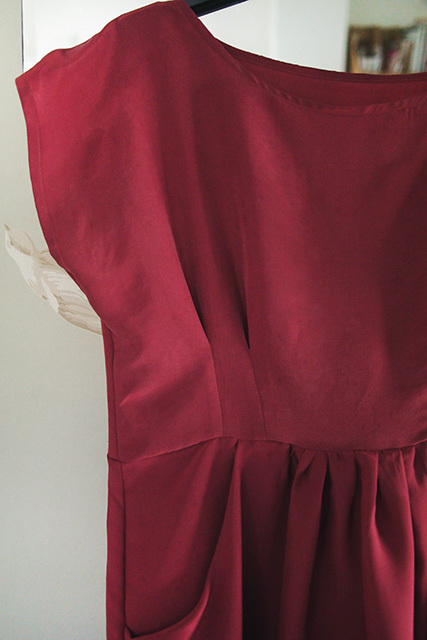 Another festive-leaning BHL hack – a second Anna/S1610 mashup in cranberry sandwashed silk. This just needs its zip and hem, but I’m not happy with the puckering around the bias-faced neckline so I’m debating my options there too. 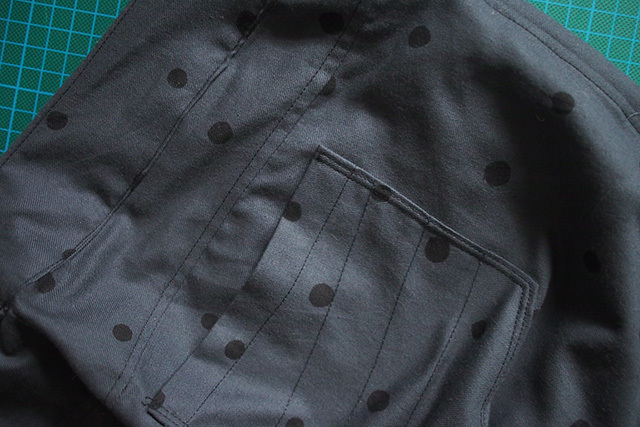 Some skinny trousers made from a rather lovely dotty brushed cotton. Just need belt loops, button and hemming. Today’s work – a little frock to wear to a family wedding in a couple of weeks’ time. Straight off my block in an easy-sew poly from Mexico, the ideal rainy Sunday project. That’s not to mention my planned project list: a Rigel bomber, Ginger jeans, a Clover dress… Oh, and amongst all this selfish sewing I have at least two (secret, obviously) Christmas gifts to make. With my sewing space out of action for a while I’m not sure how that’s going to pan out. Anyone else feeling a bit overwhelmed by festive plans and/or unfinished garments at the moment?! 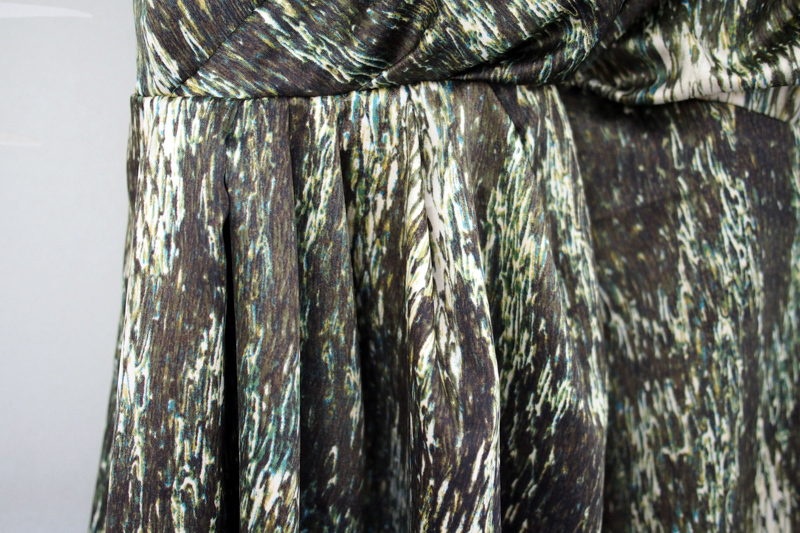 Today I’m sharing a peek at the making of a dress for a special occasion: the Minerva Crafts meetup this weekend. As you’ve probably noticed by now (I’m one of the last!) 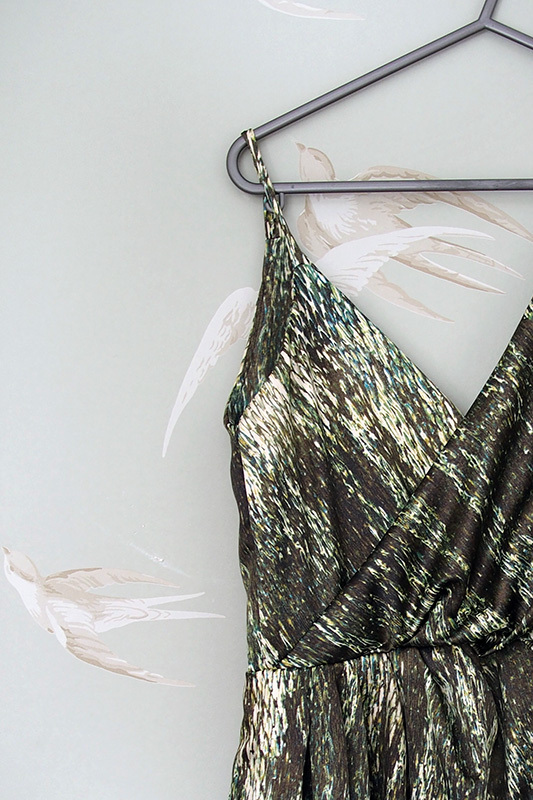 all of us Minerva bloggers are showing a preview of our dresses before the big meetup party on Saturday night, and will share the finished frocks after this weekend. You can see the other bloggers’ previews here – I can’t wait to see them all in person. My dress went through a ton of twists and turns before ending up nothing like I planned – in fact it’s not same project as I originally picked at all – but I’ve ended up with something that I REALLY love and can’t wait to show off. Sooo, I won’t dwell too much on my first failed dress as the pain is still raw: it was supposed to be Simplicity 1876 in a really lovely satin-backed dupion, but everything that could do wrong, did. I really fancied the challenge of all the new techniques – boning, strapless, peplum skirts – but several ill-fitting toiles and an abandoned half-finished garment later, I decided it was a step too far, especially with the time pressure added in. Plus, I realised I would never go for a flouncy, fitted style like that in RTW so even if I’d nailed the construction I don’t think I would have felt comfortable in it. Sadly, it was what we term a ‘wadder’. In a bit of a panic, I emailed Vicki from Minerva to say I was ordering a brand new kit and could she rush it through – it showed up the very next day leaving me plenty of time to sew my next dress. I’d picked two new fabrics just in case I didn’t like one in person, but they both turned out to be gorgeous so I wavered for a while on which to use. In the end I went for the cheaper one just in case I needed to call it a toile and use the reserve fabric as well – but I ended up loving it just as it was! While I really needed this second try to work out for me, I still wanted a challenge and something that would look impressive at the party. So I went for something that was at the far bounds of my comfort zone, but much more ‘me’ style- and silhouette-wise. Here’s a little mood board I put together based on some lovely frocks from ASOS (I’m especially obsessed with that Markus Lupfer one; memo to self to make a rub-off). 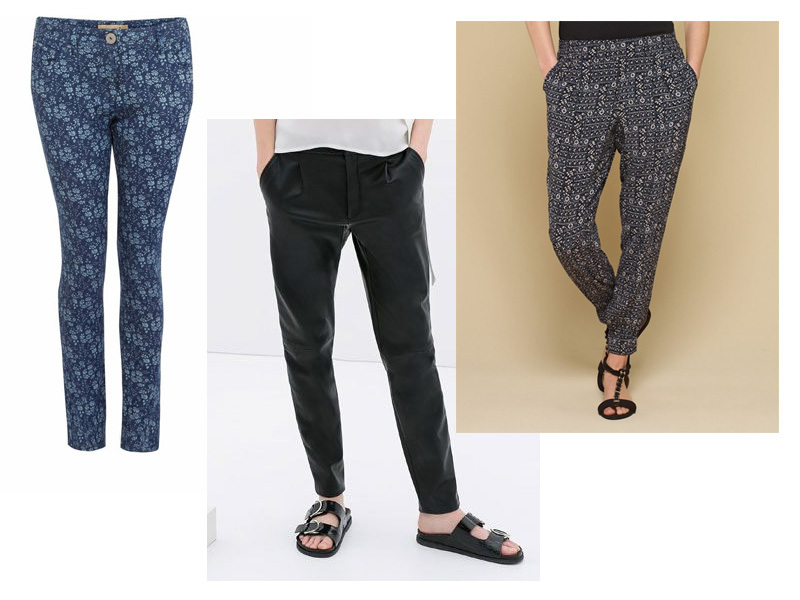 I find looking at RTW clothing online a really useful way to help me decide what to sew: if I wouldn’t buy a certain style or print in RTW I know that a similar sewing project will likely not get much wear either. 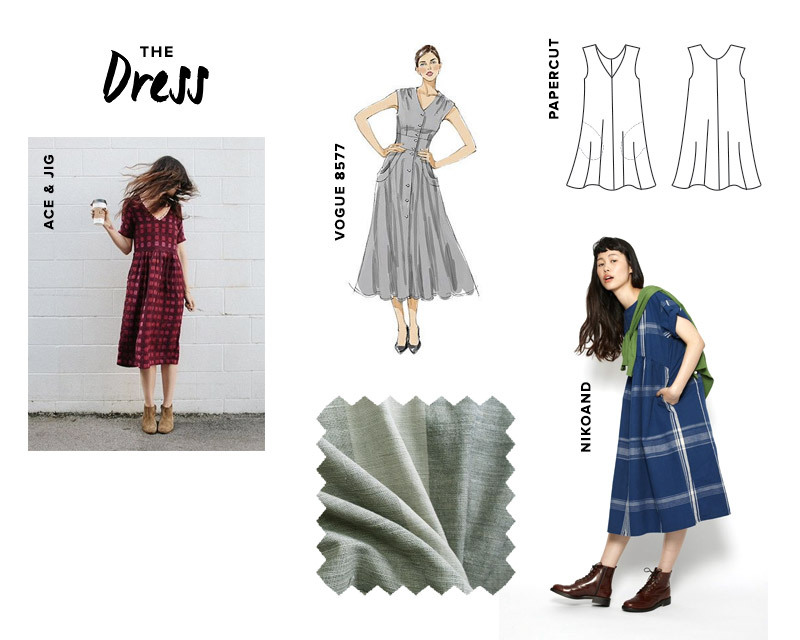 From my mood board I noticed several key style elements cropping up – neckline asymmetry, directional draping/pleats, waistline blousiness, digital prints – and tried to base my project on similar elements. Juuust some little peeks at my finished dress for now! Luckily the construction went really smoothly this time. This pattern I chose is ingeniously drafted and it was incredibly fun to sew. 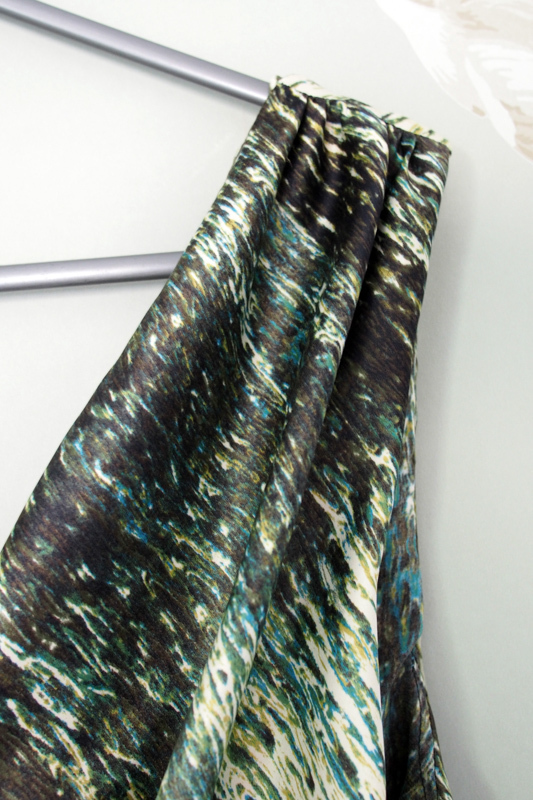 And the fabric is just gorgeous and brilliant to work with! I’ll share a bit more about all the making process in my next post. So, I do have something to go to the ball in, even if it isn’t at all what I originally had in mind. Check back after this weekend for the reveal of the finished dress, and if you’re coming to the meetup I can’t wait to see you there. I’m so excited to shop the Minerva fabric cave in person, it’s going to be a blast. 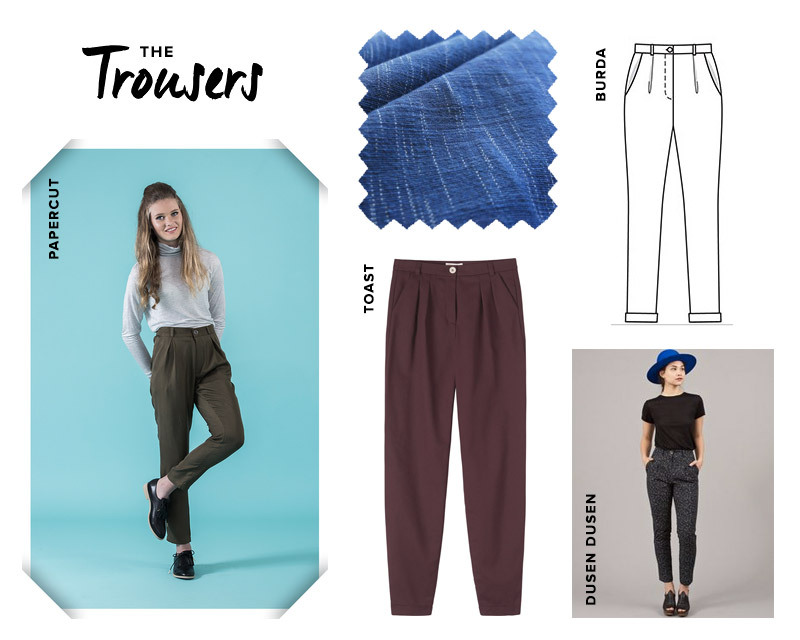 Trousers: I wear a lot of trousers day to day (either those or dresses; not really a big skirt wearer) so would like a few more options. I’d love another pair of stretch skinny jeans, a pair of looser peg-leg trousers and another pair of drapey jersey knit pants. 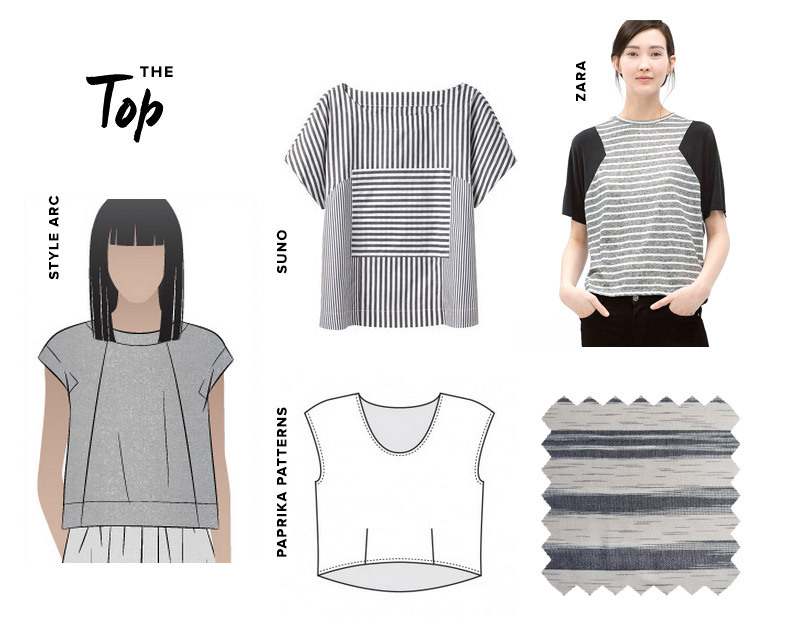 Tops: I need a few more basic plain knit tees, but zzz find them so boring to make. But I wear the heck out of tops like my blocked raglan and Hemlock, so I should probably step it up. 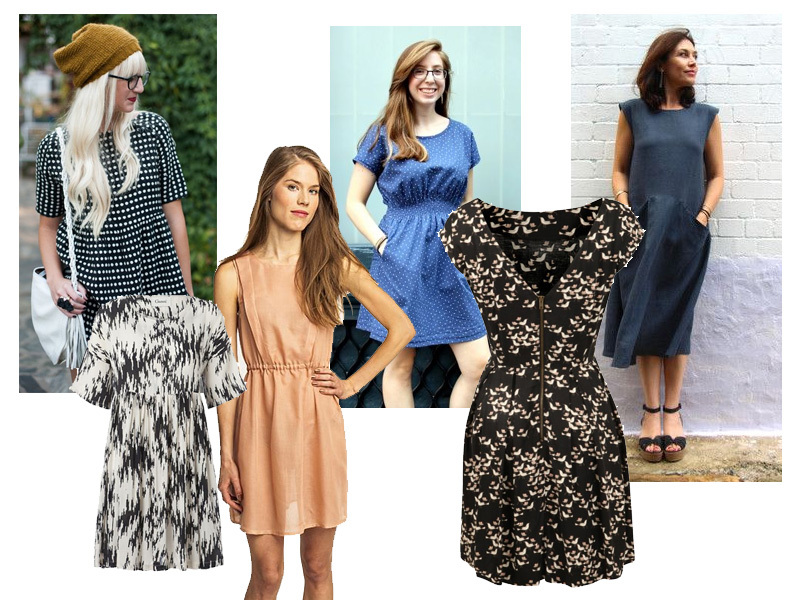 Dresses: with any luck the weather will be a little warmer by May, so I’d like to try a few summer dress patterns old and new: Named Leini, Pattern Runway sundress, Tessuti Pia, Victory Ava, and another Simplicity 1601. 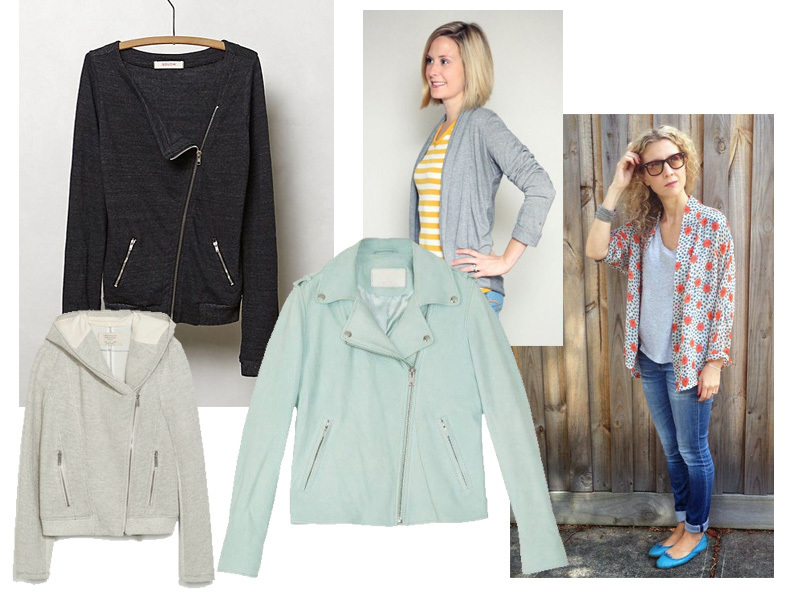 Jackets: I want to finish my current wip, a sweatshirt-knit biker jacket, and also perhaps make a kimono style jacket and a draped knit cardigan. I really want to make a bag too, making use of some scraps of wool and pleather. 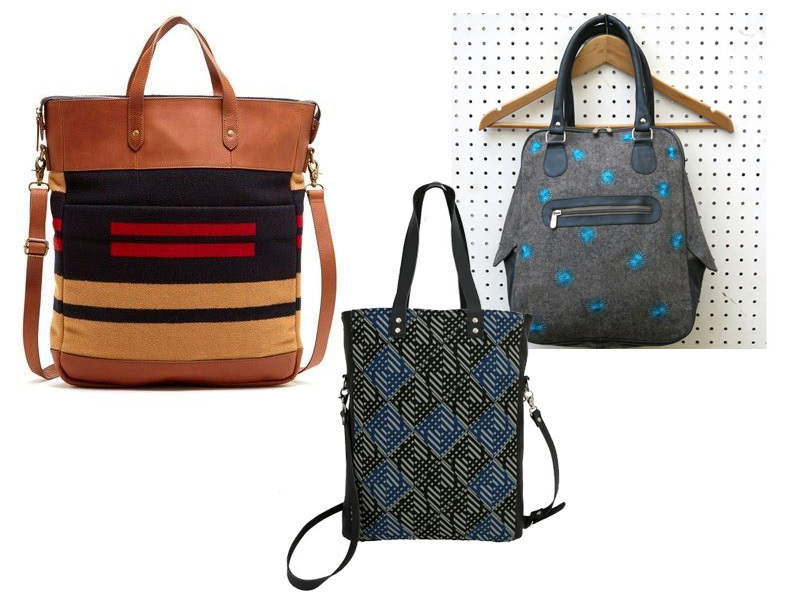 Bags totally count as a wearable, right? 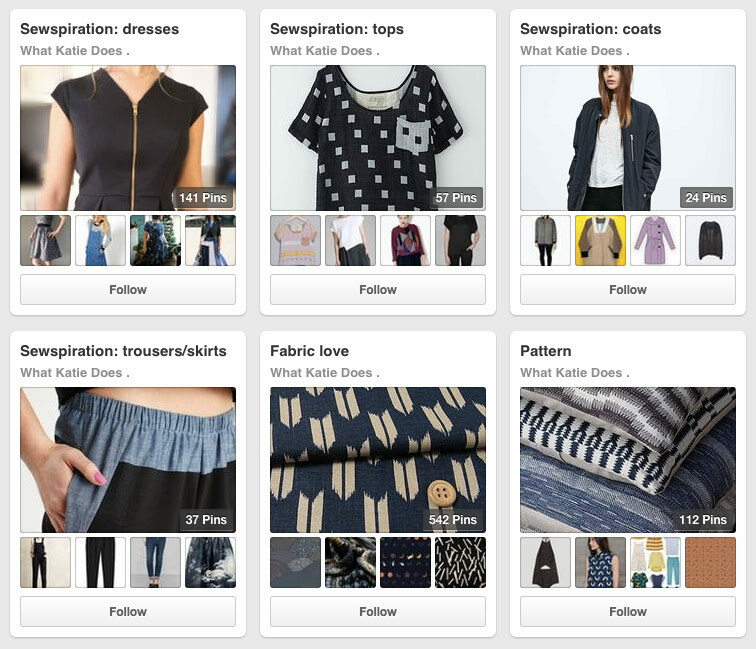 Sources for all pictures on my Pinterest. Anyone else looking forward to Me-made May? Are you planning any makes before it kicks off? I nearly forgot my pledge! I, Katie of whatkatiesews.net, sign up as a participant of Me-Made-May ’14. I endeavour to wear one or more me-made each day for the duration of May 2014.